Seriously, sometimes it’s really hard to contain my enthusiasm for a collection of polish I’ve fallen hard for. 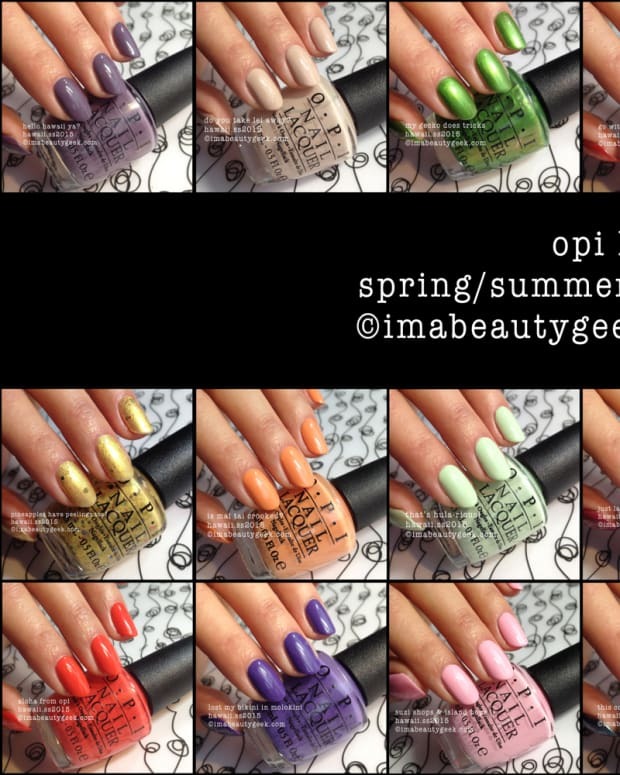 OPI’s Brazil spring/summer 2014 Liquid Sand component has totally knocked my socks off. Yep. 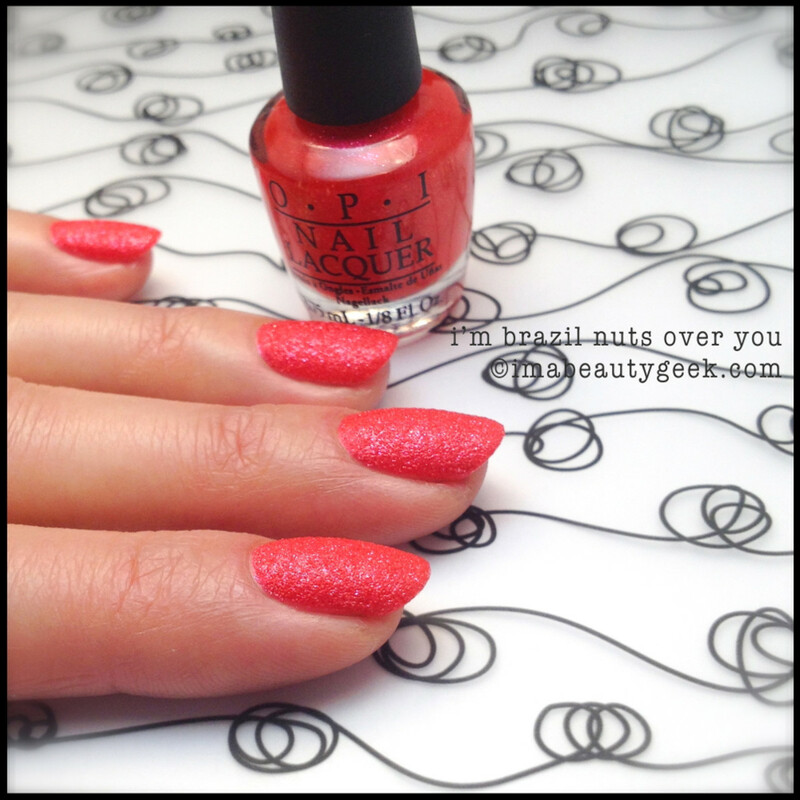 Let’s look at the pretty manicures the OPI Brazil Beach Sandies make and while you look, I’ll jabber at you with the good and then the bad. They&apos;re spectacular! I love ’em all. Ain’t nobody makes this kind of textured polish better ’n OPI and this here Brazil Beach Sandies Mini Collection is no exception. The shades border on neon – they’re the brightest OPI Liquid Sand collection I’ve seen yet – kind of a departure from the creamy shades of the rest of the OPI Brazil Collection but I am so not complaining. I dig the brightness and I dig the texture. The stuff goes on marvelously and it dries to a sparkly, sandy finish. I didn’t topcoat any of it because I like the light dusty grey shimmer (it gets lost with a topcoat). You can try it though – topcoat will increase the wear of your new OPI Brazil mini sands, that’s for sure. You want the bad news too, right? 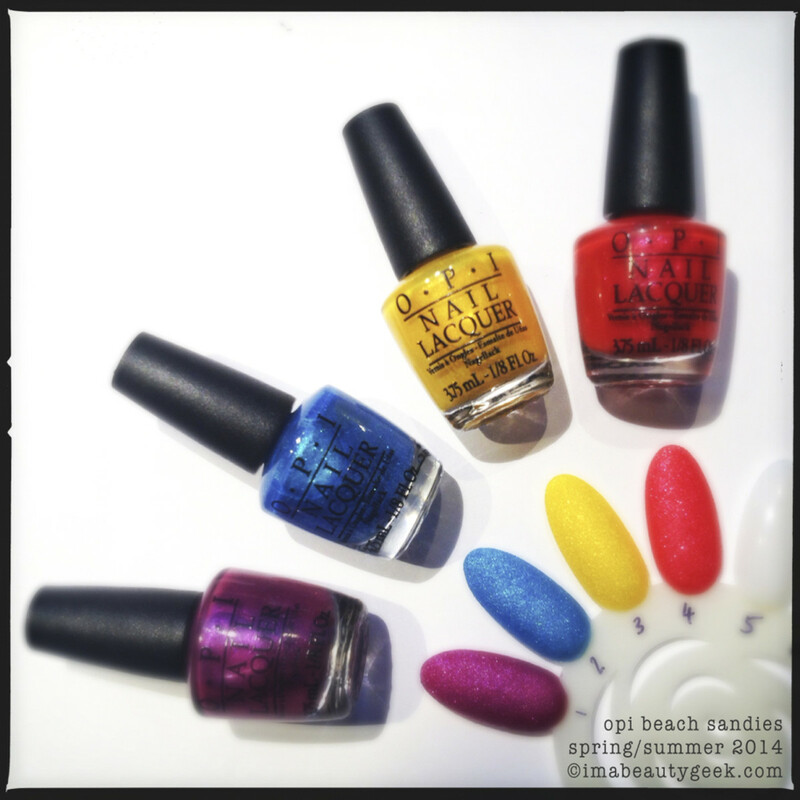 Well, here it is: the OPI Brazil Beach Sandies only come in mini. Boooo. More bad news – limited edition. Grab ’em while you can – I’ma get two! 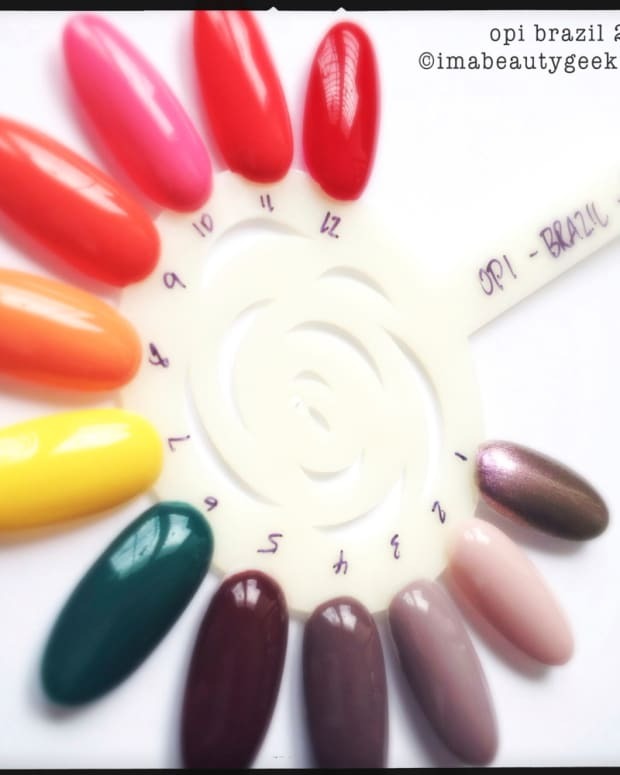 The OPI Brazil Beach Sandies Liquid Sand Mini Nail Lacquer Collection ($14.95 for the set) will be available in professional salons, spas, and at your local OPI haunt beginning February 5, 2014. 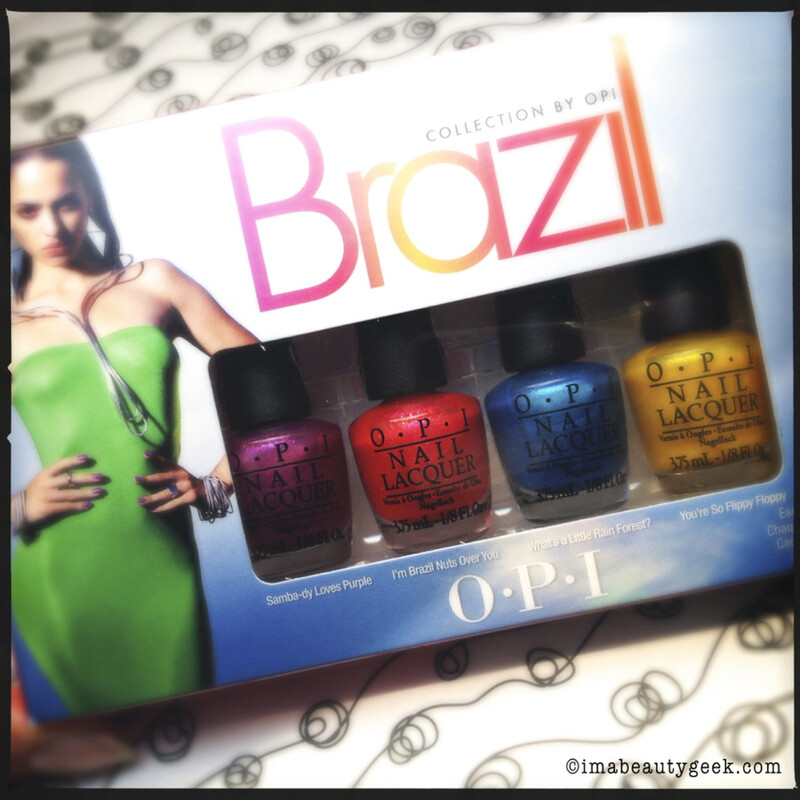 This set is part of the OPI Brazil release, which includes this 12-polish OPI Brazil collection right here.